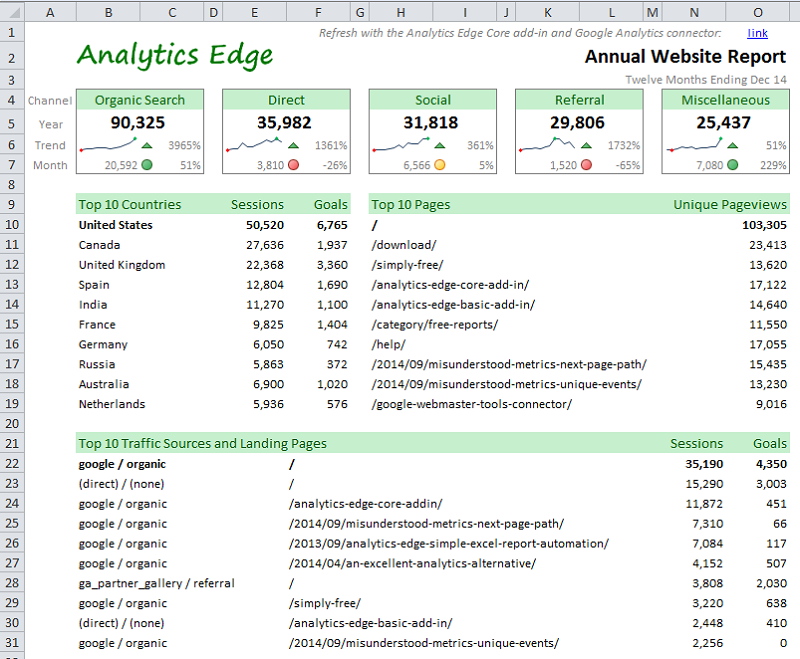 This free report demonstrates how easy it is to use the Analytics Edge Core add-in and Google Analytics Connector to create an annual report that avoids Google Analytics data sampling errors. The Analytics Edge automated refresh makes 24 monthly queries to virtually eliminate sampling errors and deliver accurate trend information, by channel, for the past year. 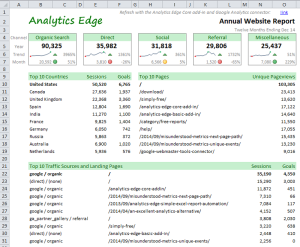 The report also displays top countries and top pages, as well as the top traffic source and landing page combinations.